李旭文, 张悦, 姜晟, 王甜甜, 纪轩禹, 茅晶晶, 丁铭. “哨兵-5P”卫星TROPOMI传感器在江苏省域大气污染监测中的初步应用[J]. 环境监控与预警, 2019, 11(2): 10-16. LI Xu-wen, ZHANG Yue, JIANG Sheng, WANG Tian-tian, JI Xuan-yu, MAO Jing-jing, DING ming. 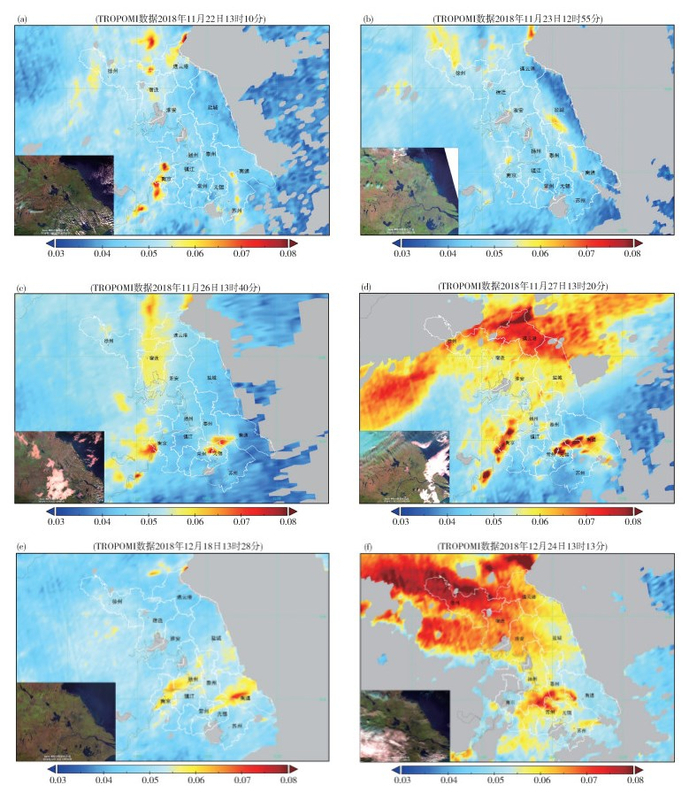 Preliminary Application of Atmospheric Pollution Monitoring in Jiangsu Province with TROPOMI Sensor Onboard Sentinel-5P Satellite[J]. Environmental Monitoring and Forewarning, 2019, 11(2): 10-16. Abstract: The technical characteristics of the air pollution monitoring instrument TROPOMI was introduced, TROPOMI is onboard the Sentinel-5P satellite which was launched by the European Space Agency (ESA) on October 13, 2017. 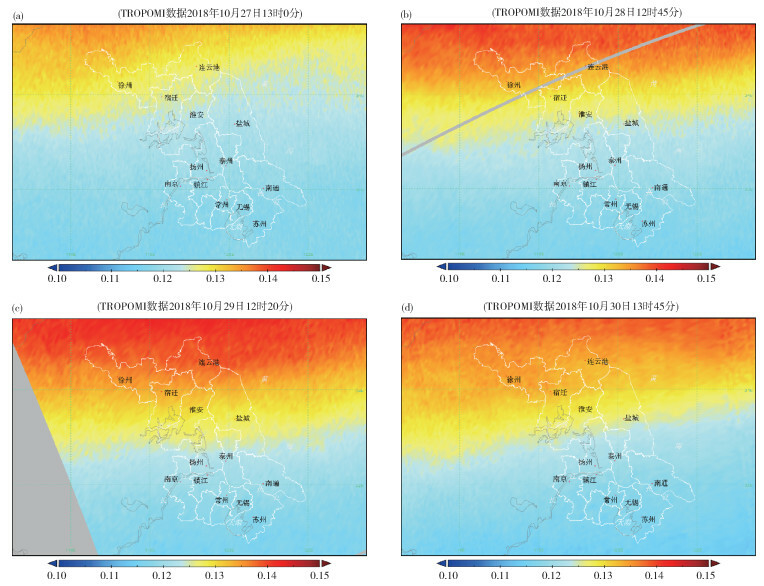 Based on TROPOMI's level 2 data products such as NO2、O3、SO2、CO, preliminary analysis of the spatial distribution characteristics and the effects of identifying air pollution sources in Jiangsu Province were conducted. 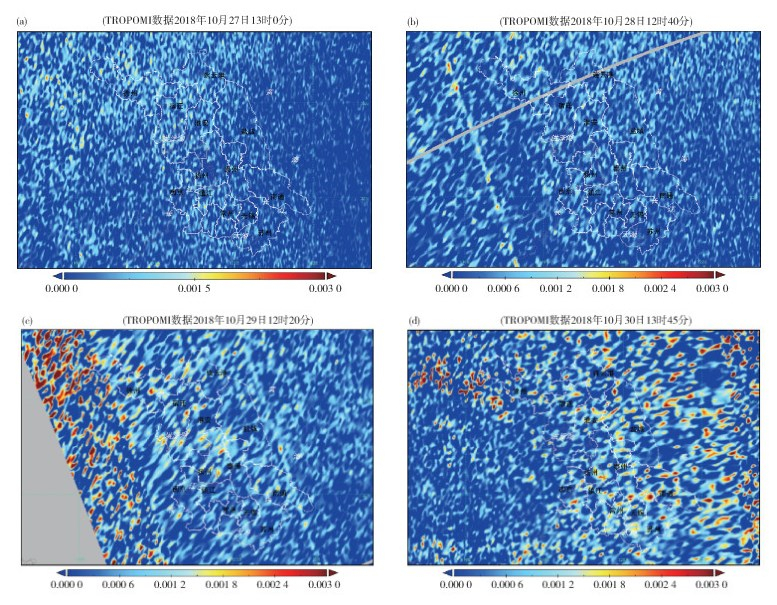 The results showed that TROPOMI's NO2 and CO remote sensing inversion products perform well in reflecting the content of industrial and urban traffic emissions in the troposphere near the surface. Therefore, TROPOMI data should be widely utilized in the future for the finetune control of regional air pollution and accurate forewarning of air quality. 李旭文, 侍昊, 王甜甜, 等. 基于"哨兵-3A"OLCI影像的太湖蓝藻水华荧光基线高度指数信号特征分析[J]. 环境监控与预警, 2018, 10(3): 13-17. ESA. Data Download of sentinel-5[EB/OL].(2014-03-30)[2019-02-24].https://scihub.copernicus.eu. ESA. Satellite Description of sentinel-5[EB/OL]. (2017-10-13)[2019-02-24].https://sentinels.copernicus.eu/web/sentinel/missions/sentinel-5. ESA. Satellite User-guides of sentinel-5 [EB/OL].(2017-06-24)[2019-02-24].https://earth.esa.int/web/sentinel/user-guides/sentinel-5p-tropomi. ESA. 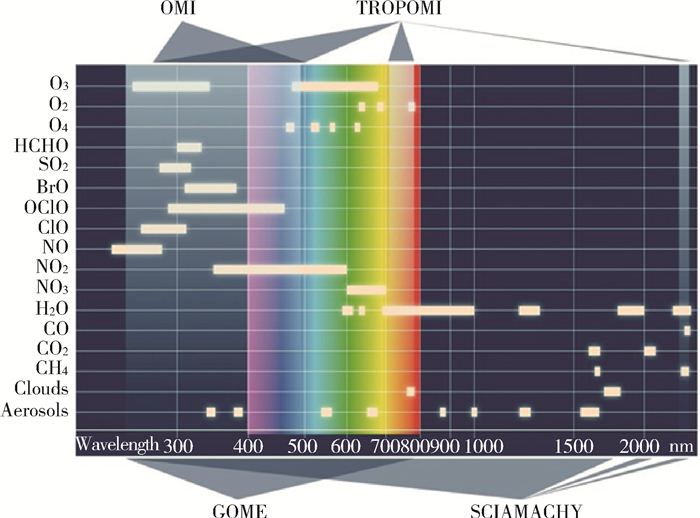 Satellite technical-guides of sentinel-5[EB/OL].(2017-06-24)[2019-02-24].https://earth.esa.int/web/sentinel/technical-guides/sentinel-5p/products-algorithms. BORSDORFF T, ANDRASEC J, OOST A D B, et al. 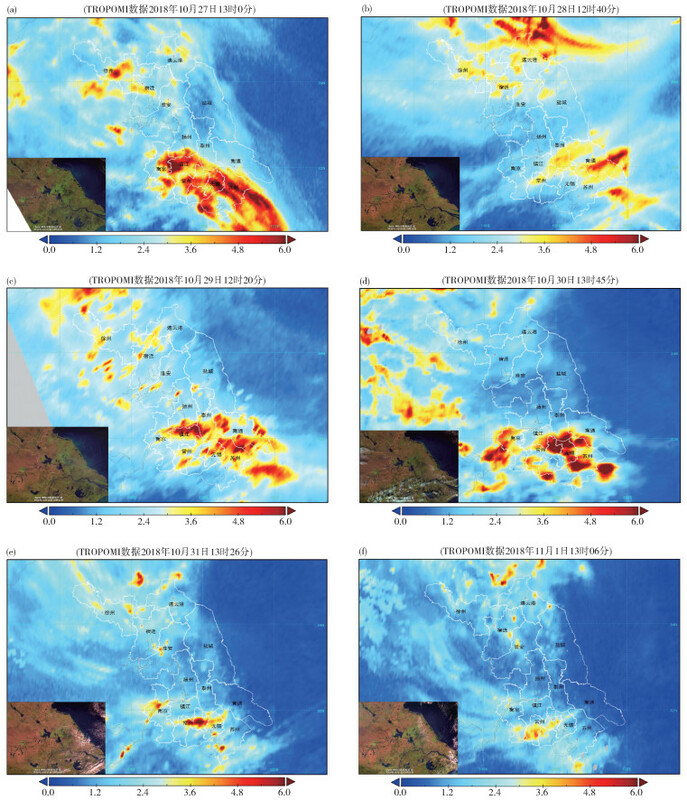 Detection of carbon monoxide pollution from cities and wildfires on regional and urban scales: The benefit of CO column retrievals from SCIAMACHY 2.3 μm measurements under cloudy conditions[J]. Atmospheric Measurement Techniques, 2018, 11(5): 1-18. 李旭文, 牛志春, 姜晟, 等. 环境监测卫星Suomi NPP业务特性及生态环境监测应用[J]. 环境监控与预警, 2014(3): 1-6. Environmental Monitoring and Forewarning, 2019, 11(2): 10-16.